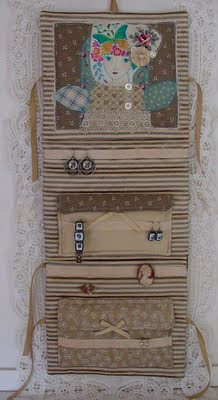 Just finished this Idea for a Cushioned Wrap - to hold Jewelry when traveling ( A Seaside Retreat-?). 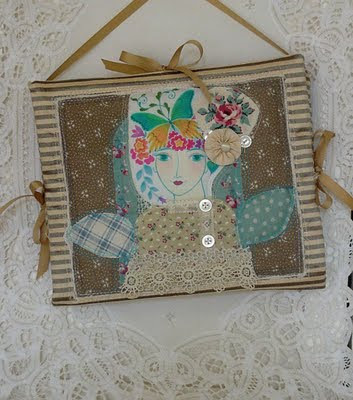 Pictured is one of my "Garden Muses" - printed on Cotton Fabric - then Appliqued with a few other collected cotton pieces - onto a beautiful Striped Silk Backing. 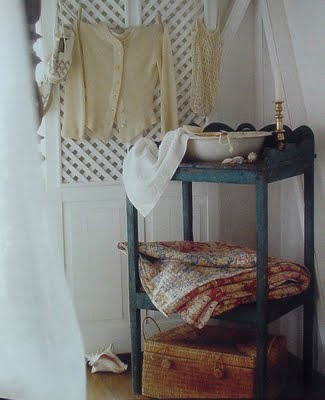 A casual - yet sophisticated "Look" for a "timeless" item that we all need on certain occaisions-! The Jewelry Wrap folds into Three Layers - then ties neatly on three sides - Creating a Cushioned Pillow - so to speak. 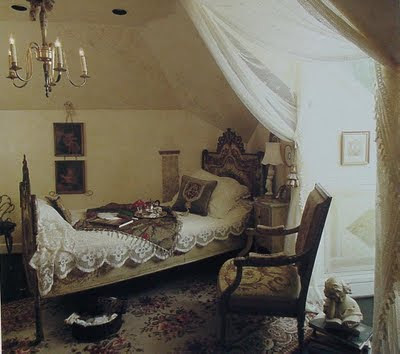 In a Romantic Cottage Bedroom - Translucent filet-work Lace covers the Window, Eave over the Bed, and the Bed itself - so Lovely-! 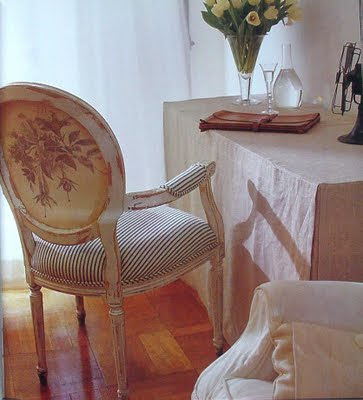 At a Linen covered Dressing Table - Ticking Striped Upholstery on a French Chair present an unpretentious Charm-! "LIVING with LACE" By Bo Niles - Stewart, Tabori, & Chang -N.Y.